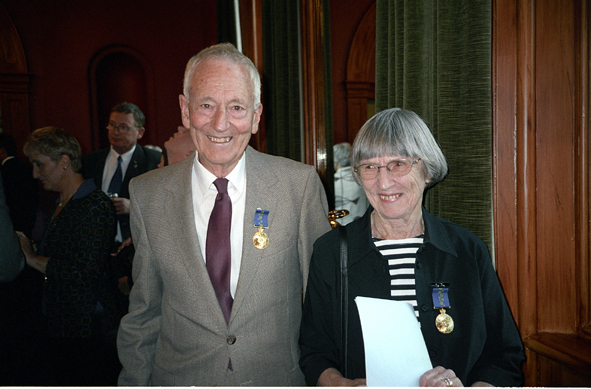 The award presentation ceremony was conducted at Government House, Hobart, in April 2004, officiated by the then Governor of Tasmania, Richard Butler. 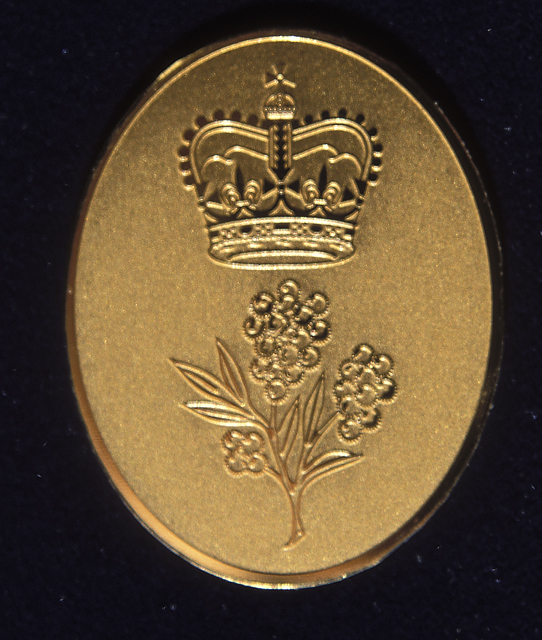 It is with much pleasure that we have the opportunity of naming this new species in honour of Marion and John Simmons. The Simmons' have contributed significantly to promoting Australian acacias and to advancing our knowledge of this genus over the past two decades, Marion through her writing and illustrations and John through his photographs (see Simmons 1987, 1987a and 1988). Marion was the Leader of the Acacia Study Group for the Society for Growing Australian Plants (now known as the Australian Plant Society), from September 1978 until July 1991. She also most generously made available around 450 of her fine line drawings for use in the WATTLE project [these illustrations can be viewed on World Wide Wattle under Species Gallery]. 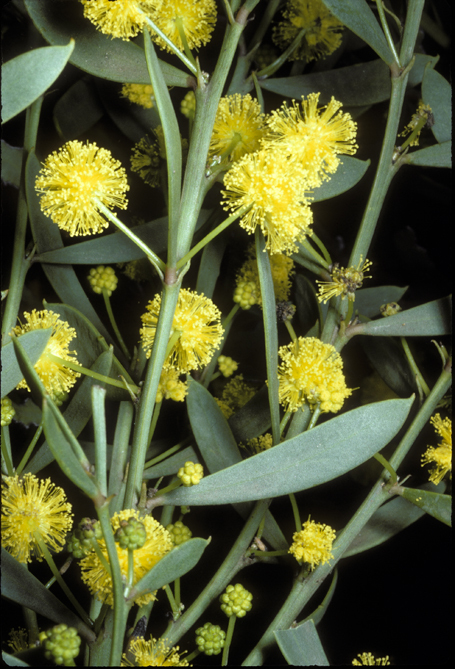 Marion and John have made extensive collections of the Australian Acacia flora and their specimens can now be found in a number of herbaria around the country. Their personal herbarium will, in due course, be deposited at the National Herbarium of Victoria, Melbourne. O'Leary, M.C. and Maslin, B.R. (2002). Acacia simmonsiana (Leguminosae: Mimosoideae: sect. Phyllodineae), a new species from south-eastern Australia. Journal of the Adelaide Botanic Gardens 20: 5-10.